ROLOK Products is a division of TCM, a Portland, Oregon a second-generation, 60-year-old, full mechanical and plumbing contractor. 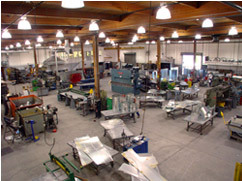 TCM is pleased to offer those in the industry the same quality of sheet metal products that we use on our own projects. 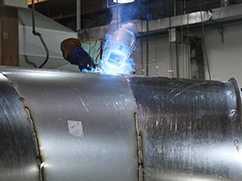 Employing highly skilled craftsman from the Local 16 Sheet Metal Workers union ROLOK Products is committed to providing you the best available products for your job. Located just off the I-5 corridor on Swan Island, the ROLOK Products 35,000 square foot facility is one of the largest in the region. Quality begins with the use of only the finest in materials and equipment. Housing some of technology's latest tools available to the sheet metal industry, your order can be manufactured to your specifications and timeline. 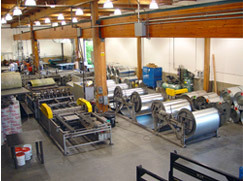 The extensive use of computer-controlled machinery assures the ROLOK Products trademark fit, finish and repeatability between product runs.